PEEL Thunder players have been busy in the lead up to the footy season with convincing wins in the first two rounds of pre-season games. On March 10, Peel’s league team won 13.11 (89) against Claremont 4.6 (30). In round two, on March 17, Peel Thunder 14.8 (92) defeated Subiaco 6.7 (43). Players have also been visiting schools as part of their community engagement program. 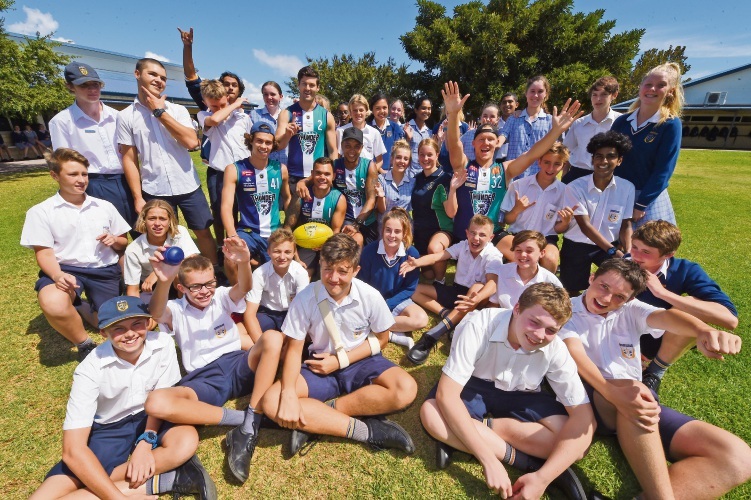 Players enjoyed games such as a tug-of-war with Mandurah Baptist College students on March 15. Fans also enjoyed getting a photo of their favourite Peel Thunder player and the premiership cup at the Mandurah Crab Fest.